Women can only be truly equal to men if they are given control over their sexuality, bodies and health, according to Belgian MEP Marie Arena, who was speaking in Dublin today before joining the 4th annual March for Choice, which is calling for repeal of the Eighth Amendment. Ms Arena, who is spokesperson on Women’s Rights and Gender Equality for the European Parliament’s Group of the Progressive Alliance of Socialists and Democrats (S&D), said the group would “work in the European Parliament and beyond to secure women’s sexual and reproductive health and rights within and outside the EU and not be hampered by anti-choice propaganda”. Ms Arena was part of a delegation of MEPs who was in Ireland this week to conduct a study tour examining the gendered impacts of austerity here. Following a series of briefings with Irish NGOs, women’s refuge centres, and a meeting with the Minister for Justice and Equality, Frances Fitzgerald, Ms Arena culminated her visit by addressing a press conference immediately in advance of the fourth annual March for Choice, which takes place in Dublin at 2pm on Saturday 26th September, 2015. Ms Arena is joined by fellow European parliamentarians supporting the March, including S&D party colleagues Iratxe Garcia Perez, Maria Noichl and Nessa Childers; as well as Angela Vallina and Jordi Sebastia of the European United Left – Nordic Green Left, and Sophie in ’t Veld and Catherine Bearder of the Alliance of Liberals and Democrats for Europe Group. 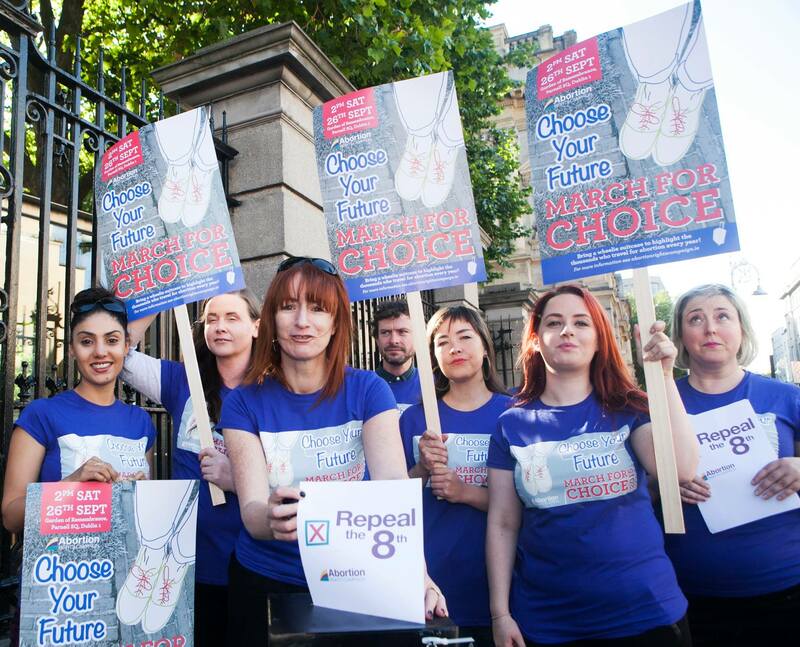 In addition to the high-level European political presence, activists from several European countries including Spain, Iceland, the UK and Sweden, travelled to Ireland this week expressly to march in solidarity with the Irish pro-choice community. At a press conference this morning at the Teacher’s Club in Dublin, Ms Arena spoke alongside Emma Campbell of the Belfast-based Alliance For Choice. Ms Campbell echoed the emphasis on solidarity, and underscored the crucial link between the struggle for abortion rights and full equality for women and girls in Ireland. 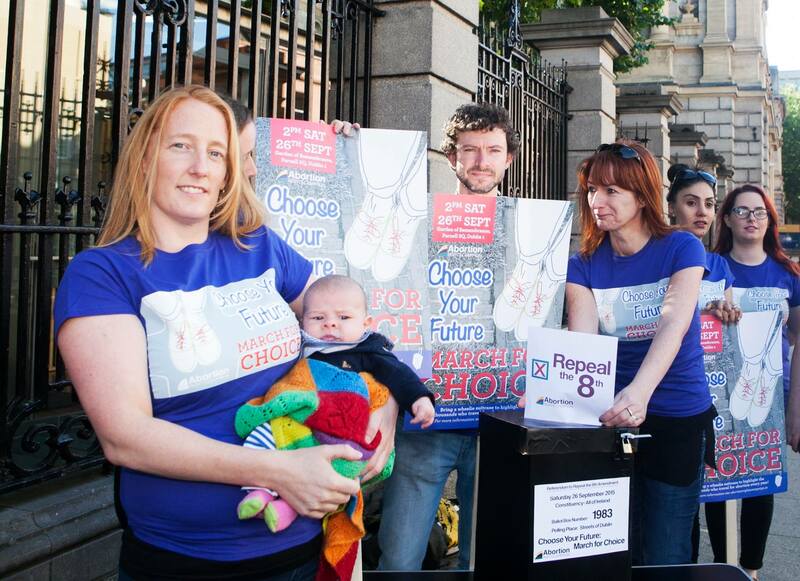 The March for Choice on 26th September marks two dates in the pro-choice calendar –the Global Day of Action for Access to Safe and Legal Abortion and the International Day of Action for the Decriminalisation of Abortion, both on 28th September. The march will start at 2pm in Dublin at the Garden of Remembrance (assembling from 1.30pm), and ARC is asking supporters to bring wheelie cases “to make audible the sound of the thousands of women forced to travel abroad for abortions every year”.